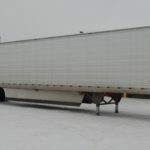 Grain Hopper Trailer - Kingpin Trailers LTD. 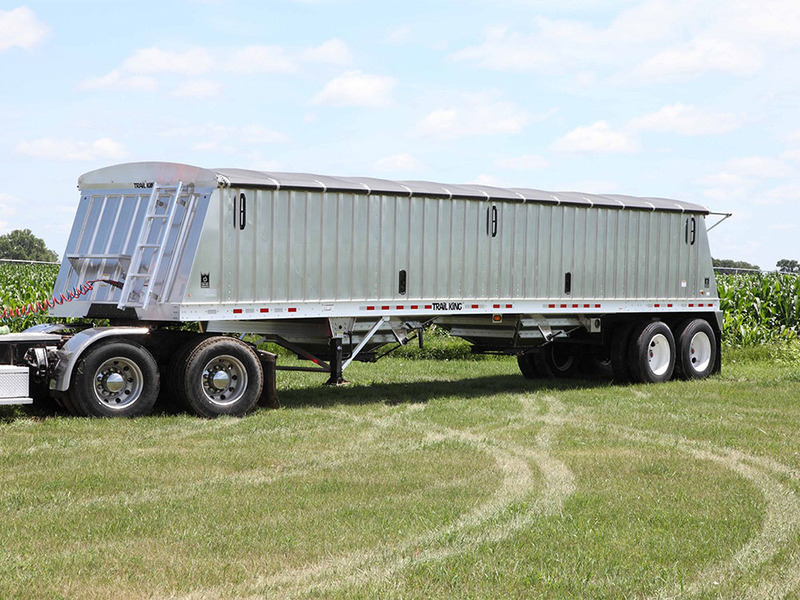 Featuring an efficient single wall construction and subframe with long-last-ing corrosion resistance via the Corsol® Metal Treatment, Trail King’s durable Aluminum Grain Hopper Trailer will satisfy your farming operations for years to come. Available in sizes from 22 ft. to 51 ft., the AHT has an aero-dynamic design for easy pulling and maximum load hauling capabilities. If you’re looking for the best, then look no further than a Trail King AHT. Single panel wall construction ensures long-lasting strength, corrosion resistance, and durability. Available with a 22″ hopper ground clearance, 35 degree hopper slopes, and hopper door locks for flexible and easy operation. Heavy-duty crossmembers on 5th wheel and rear subframe add stability. 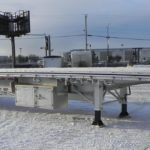 This strong, safe, and simple one-person operated roll tarp is designed to withstand any conditions while protecting your load. Perform product inspections with ease as you access front & rear ladders with a catwalk feature. This standard treatment provides unmatched corrosion protection. Subframe and kingpin assemblies are protected for increased durability and attractive appearance. 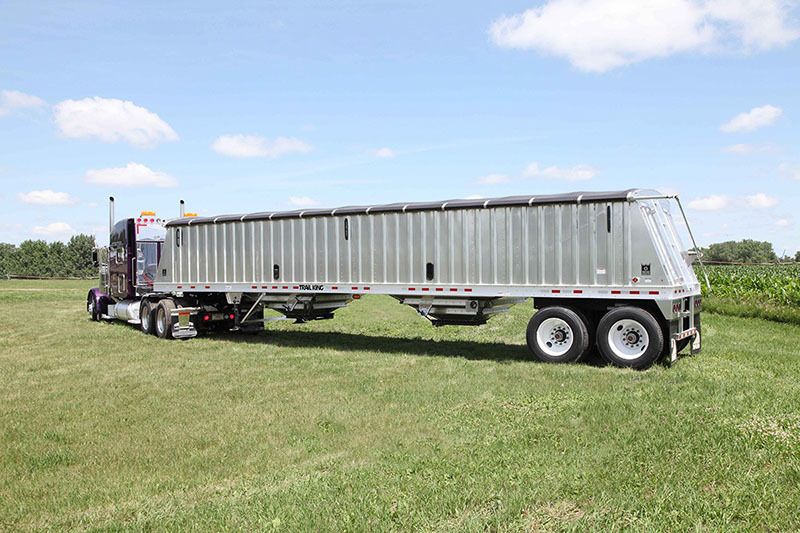 Capable of handling 55,000 lb., the largest capacity in the industry for optimal performance. ABS brakes with automatic self-adjusting slack adjusters, LED lights, and DOT reflective safety tape. 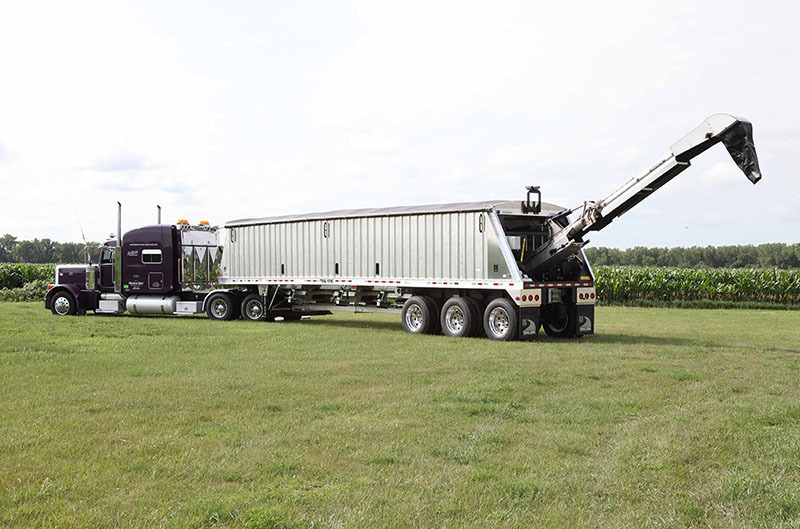 For visibility while monitoring the hoppers fill up without the inconvenience of climbing up and down your trailer, seeder, or tractor, these windows are available in multiple positions (high or low stacked). High-Strength extruded aluminum rails built for stronger performance in the field and over-the-road. Weight*† 5,367 lb. 5,413 lb. 8,037 lb. 12,163 lb. 8,900 lb. 9,275 lb. 9,280 lb. 9,725 lb. 9,882 lb. 10,235 lb. 12,676 lb. 13,200 lb.